are made up of a liquid carrier which the crystals have imprinted transmitted their ‘essence’ into it….. I have loved crystals & gems since I was a little wee thing. I have a deep connection to the Crystal Kingdom. I love creating & I love assisting others through healing! 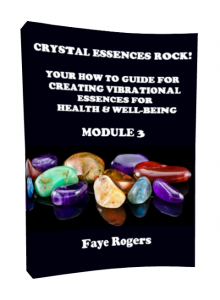 I have been teaching workshops on how to create Crystal Vibrational Essences, and now there is an e-course….. I am so so excited to be sharing this e-course with you. I have created a practical easy to follow e-course that gives you a step by step guide on how to create beautiful Vibrational Essences for yourself, for your family, for animals & friends. You can even create gifts, or your might wish to turn your creations into a part of your own business. 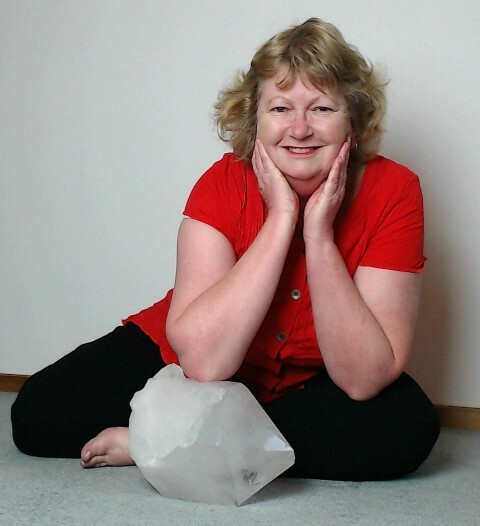 Also this is exciting, the Crystals wanted to be involved further, and they have shared THEIR VERY OWN personal messages relating to their own specialness and the gifts they bring to you. There are 33 creating recipes of wonder i.e. : Fear Release, Focus, Muscular, Meditation Sprays+++. 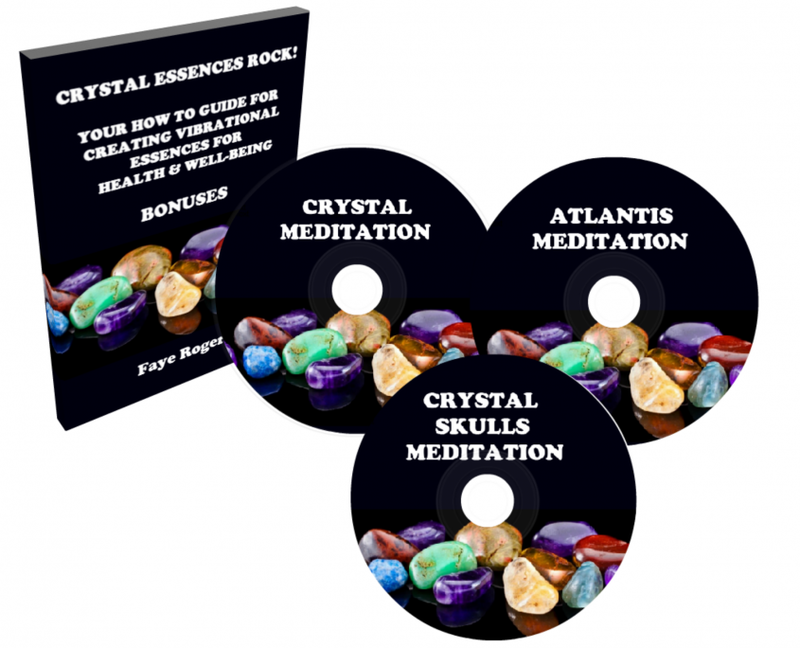 And also 3 Bonus Meditations: Crystal, Atlantis, Crystal Skulls. OH WOW!!! Step by step guide in how to do!!! Faye has appeared on National News Shows & has been interviewed for New Zealand & Overseas magazines. Faye was asked to be involved in the Loading Docs documentaries for 2015. Faye is a published writer. Qualified Teacher in Angels & Ascension from the Diana Cooper School (UK). Faye loves working with animals & people. How Will My E-Course & Bonuses Be Delivered? Once paid for, you will see a download link. Also you will receive a confirmation email with your download link or advising that you have downloaded. On hitting the ‘Enrol Now’ Button, you will be directed to Check-Out, and then payment is processed through Paypal. You will need a Paypal account where you can link up either your bank account, or your credit card, or your debit card. Setting up a Paypal account is easy to do, and is totally secure. How Long Will it Take me to complete the e-course? This will depend on you. 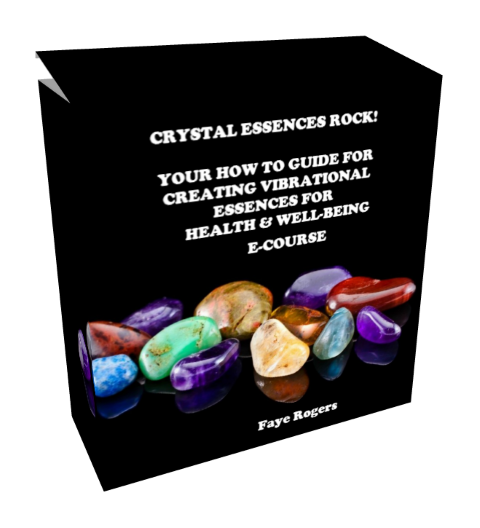 I have created the e-course as user friendly, so you will be able to start manufacturing Vibrational Essences from Module 2 onwards. And you can keep returning to the various modules for references whenever you need them. Do I have To have a lot of crystals to create? No, you can purchase the Crystals that you need when you need them. Or if you already have a small collection of Crystals, you can create from these. I only have little tumbled crystals, are these big enough? Yes, you can create from tumbled crystals, and you can use them over and over again to manufacture personal Vibrational Essences. It is being aware of the correct method of manufacturing for the type of crystal or gem that is in your care, this is outlined in the e-course. You can also create from larger crystals, again it is being aware of the correct creating method of manufacturing for the type of crystal or gem. Will I have to have a lot of equipment to manufacture? You can use your usual everyday household items. You will have to purchase the ‘correct’ dripulator treatment bottles or spray bottles, I have included a list of suppliers from various countries, hopefully this is enough to get you started. What can i use the vibrational essences for? Vibrational Essences can be used for assisting physical, emotional & mental well-being. You can manufacture personal essences for yourself, for your family, for friends, for animals, for cleansing negative energy, for gifts for others, or even manufacturing as an add on for your business. If I create Vibrational Essences does this mean I will never ever have to visit a doctor or take my pet to the vet?